Teenagers are difficult enough even before they are old enough to receive a license. Attaining a driver’s license adds a new layer of responsibility onto both parents and teens. Although they are just learning how to drive, teenagers are expected to follow driving laws just like anybody else. They are liable for accidents, damages and violations. However, parents are not completely off the hook. Continue reading to find out about parental and teen responsibility in the event of your teen’s traffic violations. As new and excited drivers, teenagers are the most likely to violate traffic laws and get into trouble. They might try and pile all their friends in and take them on a ride. They will blast music, use their phones and pick up their friends at late hours. These offenses are dangerous for anyone, no matter their age or experience, but teenagers collect the most traffic violations of any age group. Being new drivers, they barely know how to utilize safe driving habits, yet they manage to go overboard with unsafe ones. Many states have rules set to keep new teen drivers safe. These often include a driving curfew for teens with learner’s permits and restricted licenses. This curfew is often between the hours of 9 p.m. or 10 p.m. and 6 a.m., but it varies among states. Driving during daylight hours is safest for every driver but it is enforced with teenagers. Placing these restrictions onto teens helps to build good driving habits and prevent bad ones. Good habits minimize the risk of traffic infractions and car accident. As licensed citizens, teenagers are held responsible for their driving actions by law. They are accountable for any consequences whether they are accidents, violations, fines or lawsuits. Teenagers younger than 18 years old were at one time not to be held liable for their actions because they were not deemed legally competent. Instead, parents were responsible for any trouble a teen driver got into. This is called vicarious liability. It might be a relief for a parent to not be held liable under the law for their teen’s actions, but that only means that their new driver must handle it themselves. Teens at fault for a traffic violation or accident are charged the same way adult drivers are. They can receive a ticket, get points added onto their license or be charged with a crime. Teen responsibility is usually the case when such things occur as long as the teen was physically and mentally competent to drive. Teens driving outside learner permit restrictions typically receive two tickets: one for violating the restrictions and one for their offense. A teen with a learner’s permit can legally only drive with an adult older than 20 years old in the car with them who possess a license. The teen is expected to pay for the fine and attend a court hearing. He or she may also have his or her leaner’s permit suspended. Teens with learner’s permits typically cannot accrue points on their license for a six- to 12-month period. Otherwise, they will have to start over or wait longer until they are allowed to get the next license. This license is given to teens who have graduated from their learner’s permits and are younger than 18 years old. These drivers are not required to have a licensed driver with them but are still under many restrictions to enforce safe driving habits. These restrictions include curfews, wearing a seatbelt, no cell phone use and a limit to the passengers he or she can have in the car. Consequences for infractions under a restricted license are heftier than under a learner’s permit. Parents or legal guardians receive notice of the infraction, but the teen is the one responsible for complying with the law. Compliance requires paying fees, showing up to court, completing community service and/or adhering to updated provisional guidelines. Severe consequences involve license extension, suspension or revocation. The full, unrestricted driving license is reserved for adults and teens who are 18 years old and older. They are legally accountable for traffic infractions. At this point, parents are usually off the hook for teens’ driving behavior. All restrictions placed into the restricted license are removed with this license. Really, parents are only liable if they are not doing their job as parents: keeping their child safe. Sometimes, keeping their child safe means taking away the car keys. Failure to maintain responsibility can have you facing a crime that you did not commit. When the parents “co-signs” for their teen’s driver’s license. This makes the parents financially responsible for an accident. When the teen gets into an accident. When the parent co-signs and when the teen gets into an accident. 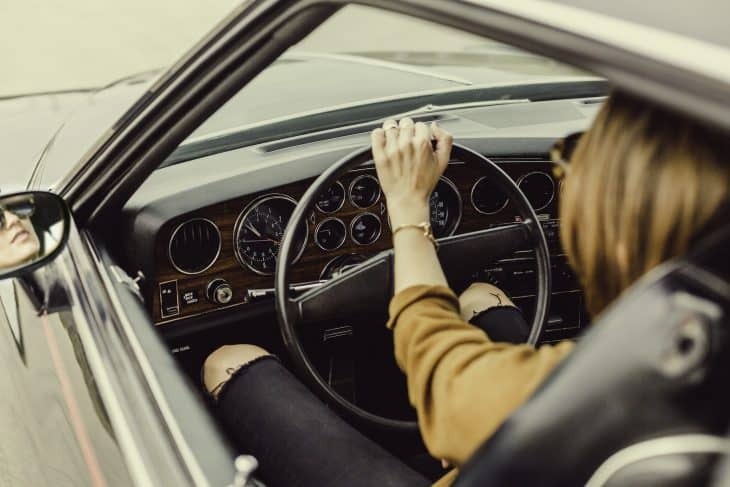 Giving explicit or implicit permission for a teen to drive is also grounds for holding a parent in civil liability if the teen causes an accident in that car. However, a parent who is not in contact with or has custody of the teen that the time of accident or infraction may be exempt from responsibility. Vicarious liability holds parents responsible for their teenager’s crimes. Basically, because the parents knew about the potential for crime to occur and did not stop it. This make a parent a “co-conspirator”. Parents who know that their teenagers repeatedly speed, drive past curfew or are regular reckless drivers, are examples of parents who can be vicariously liable. A negligent parent, in terms of driving privileges, is one who allows a child that he or she knows use the cars for illegal activities. This parent knowingly lets the child put him or herself and other people in danger. Knowing that a teen is a regular reckless driver, speeds, runs stops signs and uses his or her phone while driving and does not stop this behavior is considered negligence. This doctrine varies in each state but it is similar to vicarious liability. It basically says that the teen was using one of the parent’s cars but the owner (the parent) is liable for any damages, not the driver. The specifications of what the purpose is and whether a parent has to give consent for use of the car depends on each state. To prevent a complicated legal case altogether, it is important to take precautions to limit both parent and teen liability. As a parent, you can make the decision to not let your teen get his or her license before 18 years old. At 18 years of age, teenagers can acquire a license without their parent’s signature. In some states though, parents are still not off the hook even when their child is a legal adult but their liability is limited because the license was their child’s decision. Encouraging a teen to purchase and title his or her own car also decreases parental liability because it is not the parents’ car. While this is not a practical option for many households, it deceases the possibility of either the parent or teen getting in to trouble. Decreasing liability also involves having enough insurance. Teenagers are already expensive to put onto an insurance plan due to their label of “high risk drivers”. But, upgrading your insurance even more might be beneficial in the case your teen does get into an accident. Lastly, as a parent it is your job to raise your children to be responsible and to be a role model for the behavior that you accept. This responsibility includes teaching your teen about safe driving and the consequences of unsafe driving.